Product prices and availability are accurate as of 2019-04-22 19:33:00 EDT and are subject to change. Any price and availability information displayed on http://www.amazon.com/ at the time of purchase will apply to the purchase of this product. 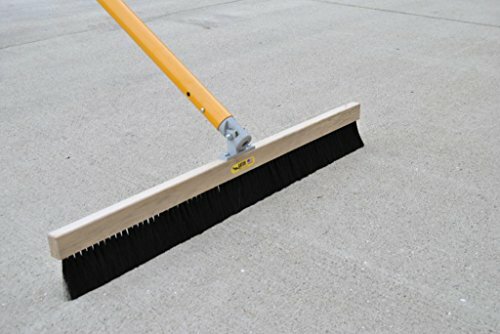 Gator Tool Coarse .022" Poly 48" Broom includes Automatic Swivel Bracket! Poles sold separately. Made from long lasting poly bristles for easy clean-up. Use broom application for a non-slip finish to a newly finished concrete surface. Coarse .022" Poly bristles for a more coarse broomed finish. Coarse .022" Poly Bristles Apply for non-slip broomed finish Wood backed Includes Automatic Swivel Bracket, poles sold separately Proudly Made in the U.S.A.!